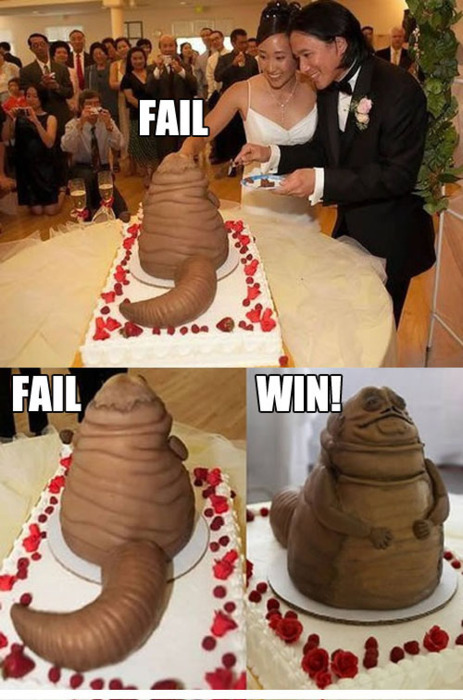 Dude must have some tricky Jedi mind powers if he convinced her to let them have a Jabba the Hutt cake at their wedding. Still looks like a turd with arms. Jabba was a slug. The tail and body were a single piece.